UCF decides to resume the three shuttles to Rosen College in response to student complaints after switching to two. 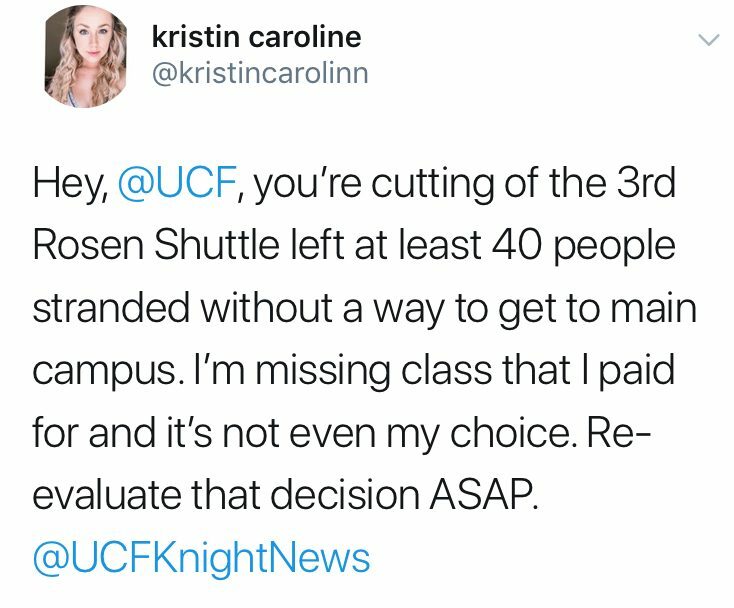 A UCF student complained to Knight News on Twitter that 40 students were stranded due to the cancellation of the third Rosen shuttle bus. Knight News shared student concerns with UCF regarding this matter asking why UCF reduced Rosen shuttle routes from three to two. Accordingly, UCF responded that they would resume the normal schedule of three shuttle buses. “There was some confusion earlier today over the Rosen shuttle route, and we apologize for any inconvenience,” Rachel Williams, UCF media relations coordinator, said in an email. 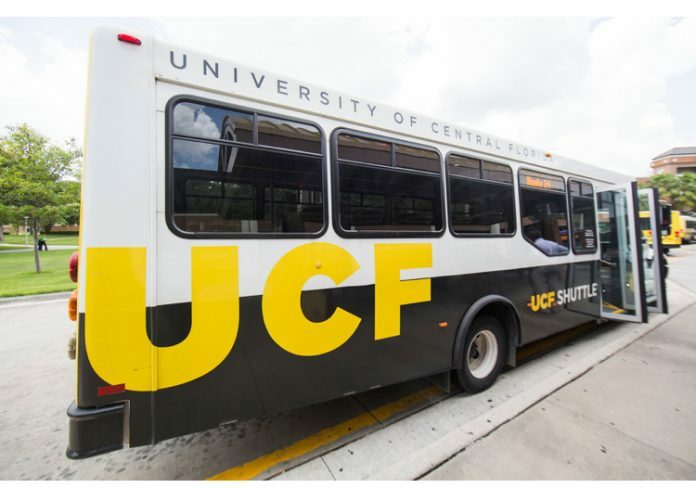 UCF had reduced the Rosen shuttle route from three to two shuttles, as part of changes UCF made “to better match the level of demand,” Williams said. “After reassessing student needs, starting tomorrow a third shuttle will be available during the peak morning and afternoon times,” Williams said.